First, let’s assume that you’ve covered the crucial basics on already having a profile for yourself or your band, and you have a professional-looking profile picture or logo as well as a solid and concise bio, and links to your website and social networks. Then, it can be well worth upgrading your account to one of the Pro options. Aside for the obvious benefits of being able to upload more music, it also gives you access to one of the most valuable tools an artist can have: data. Pro accounts give you extensive stats on where your music gets played from, which you can then use to market your music accordingly. Release your next single exclusively through SoundCloud for streaming. This will allow for your followers, old and new, to listen to your songs exclusively on SoundCloud. Asking them what they think as a comment will help increase engagement, but make sure to show appreciation for whatever constructive comment you receive. If you want a different kind of exclusive release through SoundCloud, consider getting audio recorded from one of your upcoming live shows and promote an exclusive live track or EP through the platform. Be sure to tag any music that you upload onto SoundCloud. Use both specific tags (like “glam rock” or “shoegaze”) and general keywords (such as “acoustic” or “piano”) so that listeners will be able to discover your music based on their interests. Additionally, if you decide to post a cover or a remix of another artist’s song, you will draw the attention of the other artist’s fanbase, and hopefully gain a few more fans, even though SoundCloud’s been clamping down on copyrights lately. Tactics like those will drive traffic to your profile and your fans will follow you there. With the ease of signing up via Facebook, you’ll likely find many of your fans across the internet are already signed up on SoundCloud waiting to flood your new single with listens and follow your profile. Pro users should also draw attention to a specific track they particularly want to promote using the Spotlight feature. Spotlight allows you to pin up to five tracks or playlists to the top of your profile, so that visitors to your profile see and hear that music first, while the rest of your tracks and playlists are shown in reverse chronological order. You can use this feature to highlight your newest release, your singles, or your best songs. Since SoundCloud is a social music streaming service, you can find ways to integrate it with your other social networks. Whenever you post music on SoundCloud, be fervent about posting it on Twitter, Facebook, and any of your other social networks that your fans are actively paying attention to you. Not only will that get your play counts up, hopefully your fans using SoundCloud will interact with you by commenting and sharing your songs on it. Don’t spam every single one of your new twitter followers with a direct message, but tweet about your track and include a link with a call to action if relevant, such as asking your followers to share the song if they like it. Our service includes a 100% Money-Back Guarantee if they’re unable to deliver their services as promised, and a Retention Guarantee for the followers they deliver. You are not the center of the SoundCloud universe. Like any other social network, in order to get the most out of SoundCloud you must interact with other users if you want to build an audience. Start by following other artists’ music pages. Comment on their music and repost it if you really dig it. They might just return the favor. Doing this will help you maximize your music’s exposure, build a community around your profile, and get you comfortable using the platform. A word of caution to the wise: While you may be tempted to purchase followers and plays from a third-party service to feel the some immediate satisfaction that comes with having a profile that looks busy, fake plays and followers only hurt your credibility. They cannot interact with you and they certainly cannot purchase your music, merch, or concert tickets in the long run. Following and engaging with other artists is a great way to build up your own following as well as increase the engagement on your profile. Follow artists that you like, but also artists that are in your hometown and those that create similar music to you. They are more likely to follow you back. Whenever possible, establish a connection with them via other social networks as well, and ask them to provide feedback on your tracks. For engaging non-musicians as well, follow followers of people that make similar music to you. By following them, you will attract their attention and indirectly introduce them to your music. In parallel, draw comments on your tracks by asking your followers from your other platforms to comment them. As an example, post a new release on your Facebook Page, and ask your followers to comment on the tracks in SoundCloud. Finally, make sure to always reply to comments by others on your songs. Ask for more information on comments wherever relevant to keep the conversation going. Others will see this activity on your tracks and will be more compelled to join in on the conversation. Speaking of community, another way to increase your exposure on SoundCloud and build your audience is by submitting your music to the various groups on the platform. You can find the groups that similar artists belong to and submit your music to be posted on the group. Browse groups in SoundCloud’s search feature, where you can find groups in genres ranging from EDM, to Top 40, to indie rock, to old-school hip hop. Be sensible about how many tracks and how often you post to each group since these SoundCloud users don’t follow you yet (read: don’t spam), and watch as your play counts and followers increase over time. If you are feeling super creative and want to bring a different kind of content to SoundCloud apart from your music, consider hosting a podcast for you or your band on the platform. SoundCloud Pro Unlimited offers an unlimited amount of space for an affordable monthly price ($15/month). A podcast is a great way for you to connect with your fans about virtually any topic that you think would be engaging. Podcasts give your fans an extra personal look into your life. If you feel like you can’t keep up with an ongoing podcast, consider a short-term podcast while you’re on the road or in the studio to share your experiences and thoughts. Your followers will appreciate even short audio updates on your happenings. Any form of verbal communication should be seen as a conversation. By asking questions to your listeners, you should incite further thoughts and comments by your followers, both from musicians and non-musicians alike. If you’re feeling short on ideas, listen to the podcasts of other artists, musicians, or industry professionals for some inspiration on topics and formats. All Time Low’s Full Frontal radio show (which is hosted through iTunes and SoundCloud) and producer Jesse Cannon and ‘Property of Zack’ CEO Zack Zarillo’s Off The Record podcast (which is also hosted on SoundCloud) are filled with great content about music and the music industry and are great starting points for ideas. Like any social network, building an engaged audience on SoundCloud takes creativity, effort, and time. Be positive, stay focused and don’t expect to see results overnight. 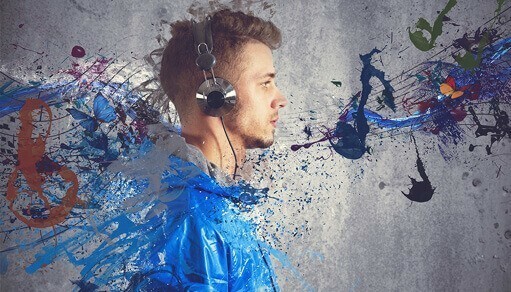 Get your music on SoundCloud, interact with other users, and feel free to share the creative methods you’ve been using to grow your SoundCloud audience in the comments! This entry was posted by admin in SoundCloud and tagged Advantage Of The Social, Build An Audience, Nature, Of, Seven, soundcloud, Start Taking, To, Ways. How can get more traffic to Youtube videos?